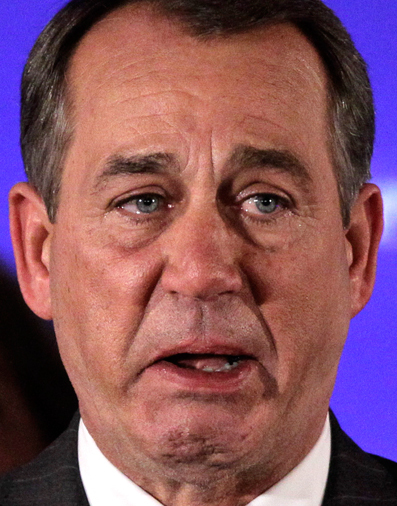 Washington, D.C. – Speaker John Boehner chose today, “National Coming Out Day,” to finally come out of the closet. The pink-tanned, teary-eyed leader of the Republican Party, announced to his colleagues in the House chamber that he can no longer go against his conscience or continue to hide his real identity. Boehner, whose leadership has been questioned by his own party because of his inability to solve many political crises, not the least of which is the current stalemate around the government shutdown, said he was stepping down as Speaker of the House and severing his ties with the GOP, effectively immediately. 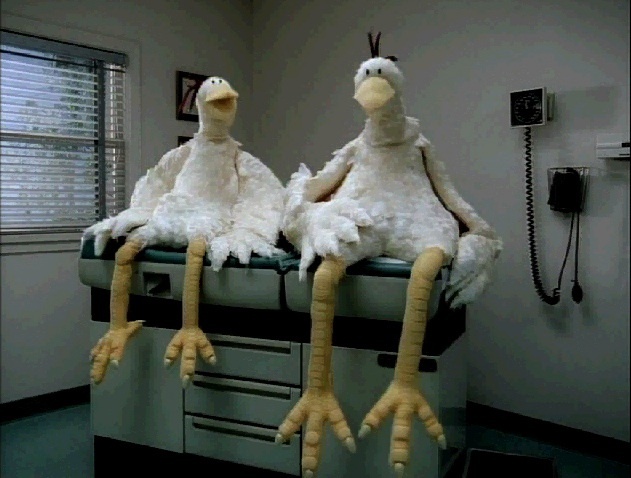 Boehner’s shocking revelation angered Republican and Tea Party loyalists. After his speech, Boehner left the Capitol and proceeded to The White House where he and President Obama will have an intimate, private dinner. Manila, Philippines – Newly-crowned Miss World 2013, Megan Young of the Philippines, came home to a very warm welcome from proud Filipinos who wildly cheered their beauty queen for bagging the once-elusive pageant title. Young is the first Filipina to win Miss World. The next few days will see a very busy schedule for Ms. Young who is expected to grace many celebration parties, public events and courtesy calls on President Noynoy Aquino and members of Congress. When Young visits Congress on Monday, she will be presented with a rare Joint Resolution of the Senate and House of Representatives commending her for this extraordinary feat while expressing relief that the focus has been turned away from the pork barrel scandal that has preoccupied the nation all summer. 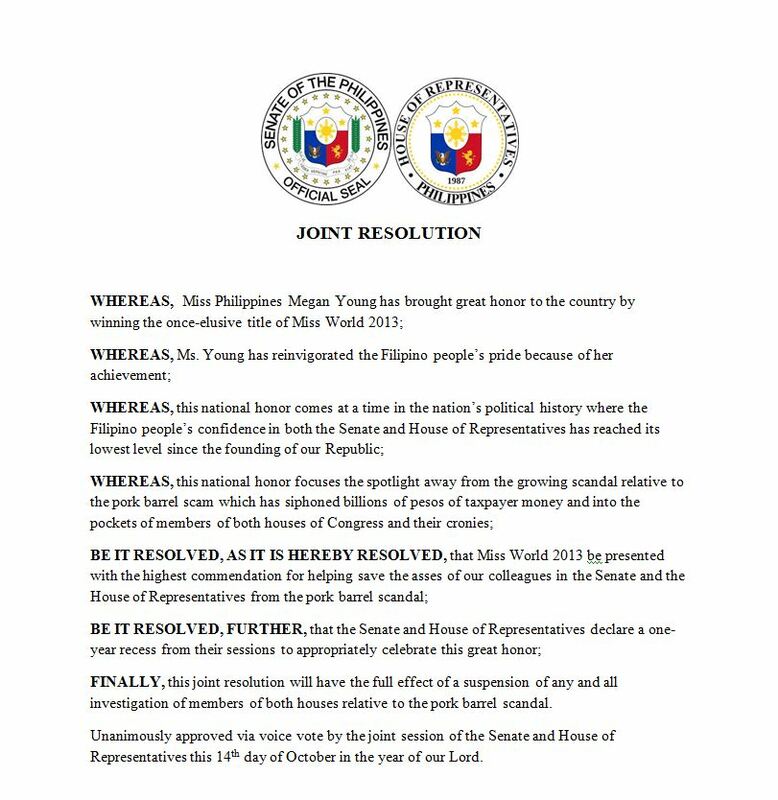 FINALLY, this joint resolution will have the full effect of a suspension of any and all investigation of members of both houses relative to the pork barrel scandal.